Welcome to another installment of If My Book, the Monkeybicycle feature in which authors shed light on their recently released books by comparing them to weird things. 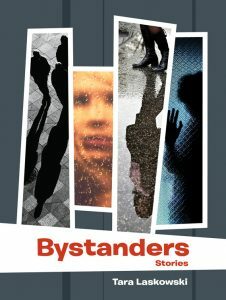 This week Tara Laskowski writes about her collection of short stories, Bystanders, just published by Santa Fe Writers Project. If Bystanders were alone in New York City for the night, it would go out to a karaoke bar and order a screwdriver and silently judge all the performers but not sign up to sing anything. 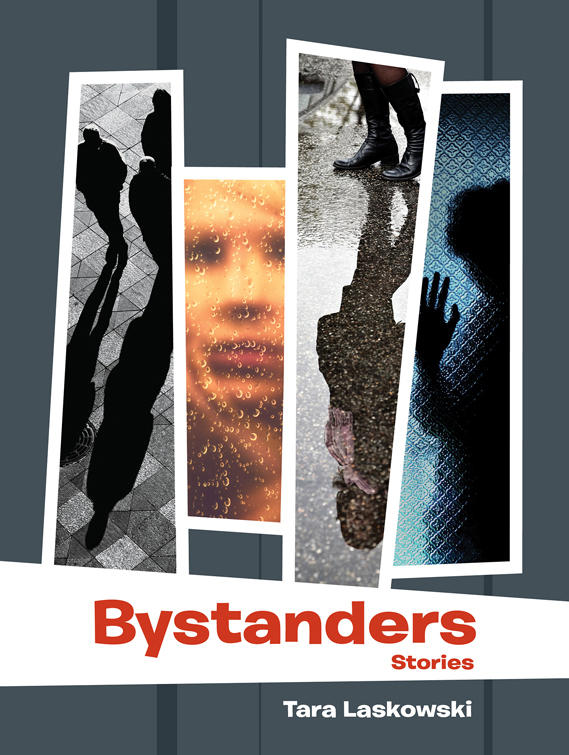 If Bystanders were a candy bar, it would be a mini Snickers bar that you got trick or treating from the slightly creepy but secretly kind man that lives on the other end of your block. It’s your favorite kind of candy bar, but you’re a little worried about eating it. The guy who gave it to you always seems a little drunk and occasionally there are weird noises coming from his house. But he’s got a beautifully manicured lawn and he’s always reading a book on his porch. If Bystanders were a minor inconvenience, it would be a hangnail on your thumb, totally innocent at first but then once it stayed with you for a while, man, that sunabitch is painful. If Bystanders were an urban legend, it would be the one about the guy with the hook who waits in the bushes near Lover’s Lane waiting to slaughter young love, hope, and passion. But you’d still kind of root for him anyway. If Bystanders were an event, it would be a college reunion that you dread going to but then you actually have a pretty decent time, even though all you and your friends talk about is how drunk you used to get. And you’d drive home after the reunion feeling good but also feeling a little existential, like you weren’t really sure if you connected with them at all, if you ever connect with anyone really, and it makes you wonder if your current relationship is really going anywhere. And then you nearly hit a deer, and it feels profound, but only for a few minutes until you check your Facebook newsfeed and forget all about it. If Bystanders were a box of chocolates, it would be fancy airbrushed truffles that you buy at a nice confectioner’s shop in a small artsy town. You know they are a little overpriced but it’s worth it because the packaging is so pretty. You could send it to your crush and she would open it and set it next to the Whitman’s Sampler that some other person sent her and yours would totally win, not just because it was clearly crafted with more care but because the truffles themselves are full of surprises. They mix flavors that you wouldn’t think go together—like ketchup and figs, or potato chips and bourbon—but they do, they are unexpectedly pleasing and most of the time it works. If Bystanders were a commuter, it would walk to work instead of taking the junky public transportation system. It would meander through all kinds of neighborhoods, most of them a little shady, and even though it would observe what all the people were doing, and peek inside some windows, it wouldn’t want to interact with anyone. It’s a little flaky, and it might flirt with danger, but overall it’s got a good head on its shoulders and its mom doesn’t worry about it too much. If Bystanders were a road sign, it would be Yield. It would want you to proceed with caution, but by all means, proceed. Tara Laskowski grew up in Northeastern Pennsylvania and now navigates traffic in the Washington, D.C. suburbs. She is the author of Modern Manners For Your Inner Demons (Matter Press, 2012) and Bystanders (Santa Fe Writers Project, 2016). Her fiction has been published in the Norton anthology Flash Fiction International, Ellery Queen’s Mystery Magazine, Alfred Hitchcock’s Mystery Magazine, Mid-American Review, and numerous other journals, magazines, and anthologies. She was awarded the Kathy Fish Fellowship from SmokeLong Quarterly in 2009, and won the grand prize for the 2010 Santa Fe Writers Project Literary Awards Series. Since 2010, she has been the editor of SmokeLong Quarterly. She and her husband, writer Art Taylor, write the column Long Story Short at the Washington Independent Review of Books. Tara earned a BA in English with a minor in writing from Susquehanna University and an MFA in Creative Writing from George Mason University. Find out more at www.taralaskowski.com or follow Tara on Twitter at @beanglish.